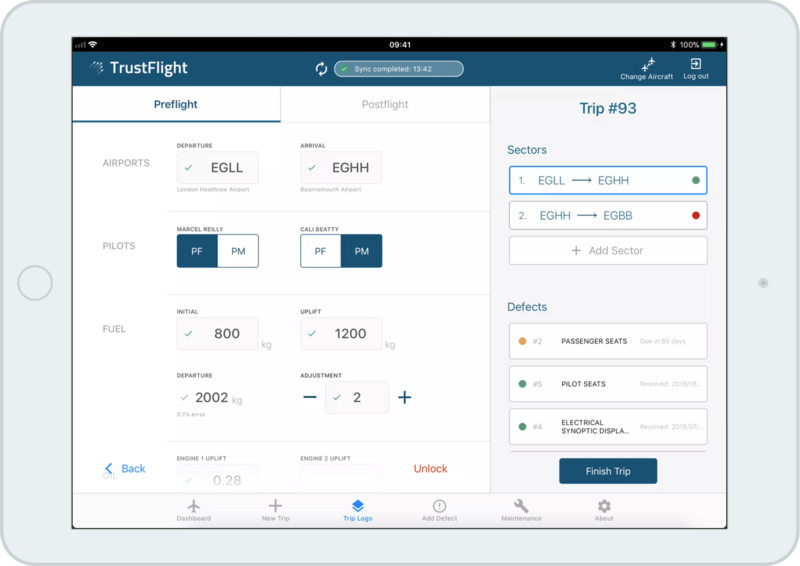 TrustFlight is building the tools and services to enable the next generation of Digital Aircraft Records. Owning, operating and maintaining aircraft shouldn't have to involve endless paperwork and myriads of disconnected systems. 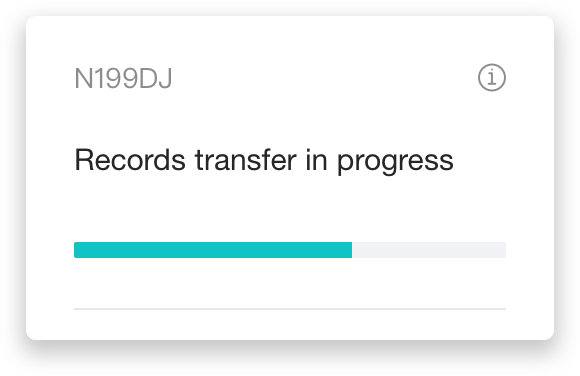 At TrustFlight, we are creating the tools and services to enable true Digital Records. A world with Digital Records is one where validated, accessible and relevant data is available in all areas of the industry to help maintain safety, improve efficiency and inform decisions. 02. What does the future look like? Automated entry, real-time defect reporting and fully integrated with all your systems. The days of errors, lost paperwork and manual copying of data are over. Experience maintenance the modern way with interactive manuals, time-based validation and records automatically created as part of the process. View the entire history of parts to aid purchasing, reduce the risk of fraud and maintain the value of your aircraft. Smart Contracts continuously validate your aircraft records against lease terms. This makes the end-of-lease process as simple as pressing a button - greatly reducing the risk of delays and added fees. In this article we explain how adopting digital records for your aircraft can help to maintain its value and also improve saleability. 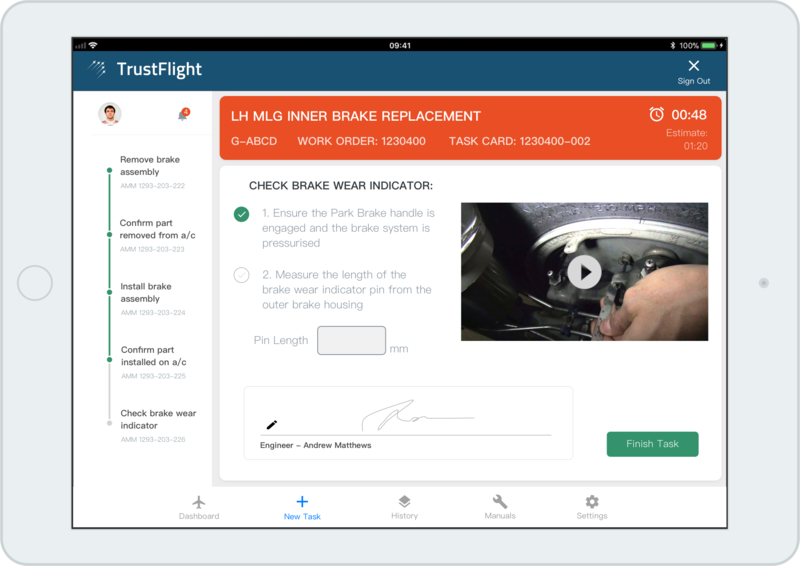 TrustFlight's team is growing to help increase the adoption of digital aircraft records. Have a look at our careers page to find out more. Find out how a digital aircraft technical log can benefit your operations, and why you should consider it now.